The ideal of the inspired artist owes its origin to the key figures of the Romantic period—Lord Byron, Percy Bysshe Shelley, Samuel Taylor Coleridge, and John Keats among them—who revolutionized English art and literature in the early 19th century. Their influence on each other and their impact on our culture and society are surveyed in this book of profiles and portraits, beautifully illustrated with color reproductions of art and photography from Britain's National Portrait Gallery. 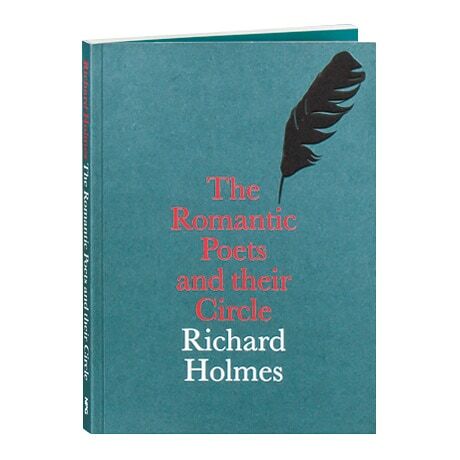 Richard Holmes (himself the winner of the National Book Critics Circle Award, the Somerset Maugham Prize, the Whitbread Award, and the James Tait Black Memorial Prize for biographies of Shelley, Coleridge, and others) explores the images and lives of these groundbreaking poets.